*Note: Mormons actually prefer to be called 'members of the Church of Jesus Christ of Latter-day Saints,' or just 'Latter-day Saints' for short, but for SEO purposes I'll let "Mormon" stand in the title. 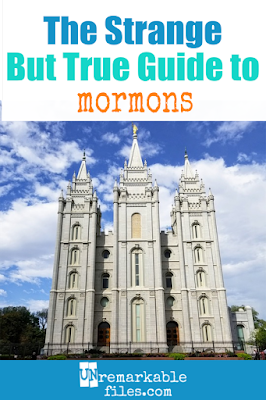 A few months ago I wrote a post called What in the World Is a Mormon?, outlining the 6 beliefs that influence me most in my day-to-day life as a member of the Church of Jesus Christ of Latter-day Saints. And do you know what? They're really pretty similar (most of them, anyway) to my Catholic and Protestant friends down the street. After all, we both have our most basic, fundamental belief in common: that Jesus Christ is our savior. Everything else I believe as a Latter-day Saint is just an extension of that, icing on the cake. Without downplaying the importance of the cake, though, I'd like to talk a little bit more in-depth about the icing. What are the other beliefs that make Latter-day Saints different? Oh, we believe in God, Jesus, and the Holy Spirit, all right. We just don't think they're the same being. "That they [Christ's followers] all may be one; as thou, Father, art in me, and I in thee, that they also may be one in us..."
Not just prophets that wore robes and lived a long time ago, either. Just like Noah and Moses in the Bible, we think God has a mouthpiece on the earth today, and he heads our church. Is it a pretty big leap of faith to believe that there are prophets today? You bet, but I believe it 100%. Whenever I read the epistles of Peter and Paul to the first Christians in the New Testament, I'm reminded again how lucky I am to have a modern-day version of Peter right now, addressing the world that I live in. 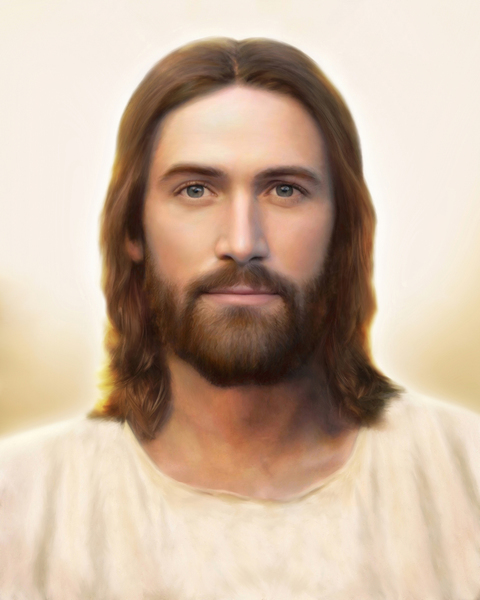 Members of the Church of Jesus Christ of Latter-day Saints believe that God has always done business by calling prophets, but there was a long pause, lasting from the time Jesus' apostles died until a person named Joseph Smith became a prophet in the early 1800s. In the interim we think some things, some really important things, were lost from Christ's teachings. Joseph Smith's job was to bring those lost things back. Most of our church's "differences" are, according to us, truths that were lost during that period of almost 2,000 years — and then restored, through prophets again. Priesthood is God's authorization to perform religious rites like baptism, and we think it was one of those "lost things" I mentioned a minute ago. 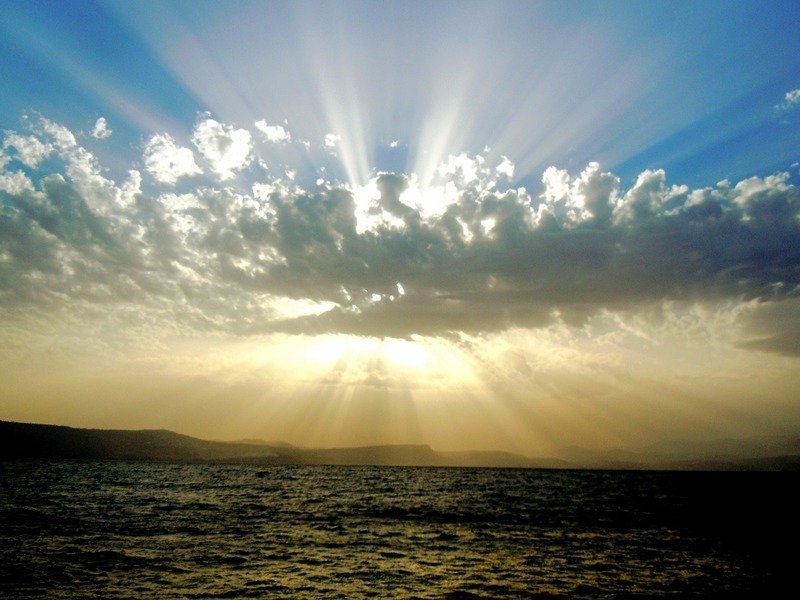 The priesthood was brought back through the angels of Peter, James, and John. They came and ordained Joseph Smith to the same priesthood Jesus gave them when they were alive. Whoever has the priesthood in the Church of Jesus Christ of Latter-day Saints today, it's come down the line all the way from Jesus Christ. Latter-day Saints believe in the Bible, the record of ancient Jews and their dealings with God. We also believe in the Book of Mormon, which is a record of ancient Americans and their interactions with God. We've also canonized written revelations from our prophets documenting God's dealings with us! In short, we just don't believe that God is done talking to us. Could other important revelations, or even other books of scripture, be revealed at some future point through the prophet of the Church of Jesus Christ of Latter-day Saints? Sure. That's what he's there for. If you ever get invited to a Latter-day Saint's baptism, you'll probably notice that the person getting baptized looks a little... old. Since we don't believe in any sin passing down to us from Adam and Eve, we think babies are born pure and perfect. They're not even capable of sinning until they get old enough to understand right from wrong. Latter-day Saint scripture sets the "age of accountability" at 8, which is the minimum age for baptism in our church. 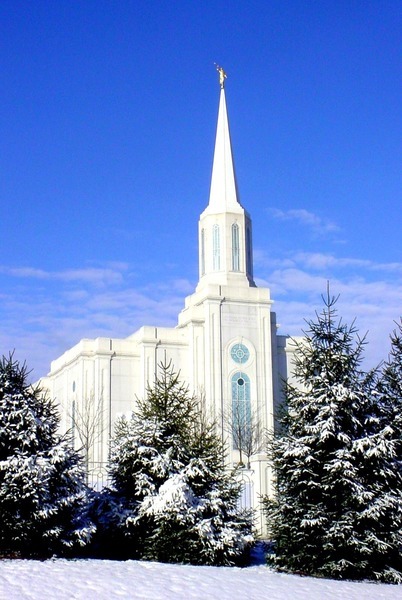 Latter-day Saint temples are really cool to look at, but that's not really why we build them. Inside we do important work. Adults go there to make further promises of faithfulness to God, and can also be "sealed" to their families. Sealing means you're bound together in a family unit forever, even after you die. Not only are you sealed to your spouse in the temple, but you're also sealed to your parents and your children. I can't conceive of a fair and loving God who'd punish anyone for lack of opportunity, so I think it makes beautifully perfect sense that we offer people who've passed away the same chance we've had to get baptized, confirmed, and sealed to our families. We believe that people's spirits continue after death, and that they're free to accept or reject any baptism or sealing we do on their behalf. It doesn't make them an automatic member of our church, it just gives them the option to say "YES!!!" or "Ew, no thank you." When we say God is our Father, we're being literal. We don't mean He adopted us like you'd take in a stray cat or made us like a carpenter makes a chest of drawers. We mean He's the father of our spirits. We're the same species, and our full potential is to grow up to be like Him. The result is, I personally do a lot of extrapolating about my parent-child relationship with my own kids to better understand my relationship with my Heavenly Father. I also see Him as more personal and loving than I did before I joined the Church of Jesus Christ of Latter-day Saints. The Church of Jesus Christ of Latter-day Saints teaches that there are actually three different kingdoms of heaven (see 1 Corinthians 15: 41,) and that most people will end up in one of them. Exactly where we go after we die depends on the degree to which we had faith Christ and followed Him. But even disobedient and "bad" people, as long as they aren't Latter-day Saints who've committed the unpardonable sin of "blasphemy against the Holy Ghost" (Matthew 12: 31) will end up in one of the kingdoms of heaven. Being fair and all-knowing, I think our Heavenly Father takes all factors into account when weighing a life. If you have something to say, please go ahead and leave a comment below, send me a message on Facebook, or email me. Just remember what your mama said: play nice. I don't agree with your points, but thanks for explaining why you believe it. Enjoyed your well written, understandable post. Thanks! Melinda, thanks for your comment! Even a simple mention of religion (or politics) on the Internet has the potential to cause a nuclear explosion, so I really appreciate it when someone can read this post in the spirit in which it was intended and respectfully say "let's agree to disagree." You're one of the best kinds of bloggy friends. The scriptures used were excellent choices for the points being made. I love this! I think it is a great explanation that simplifies some of those things Mormons believe that initially seem a little strange to us outsiders. I was raised Catholic and after years of struggling to find my place, now consider myself a non-denominational Christian. I don't believe there is a single denomination that is right for everybody, and frankly I don't care what religion someone calls himself or what church building they attend. It just makes me happy when I know anybody who has accepted Christ and is nurturing a relationship with God! There are billions of choices that we can make in a lifetime, and any choice that brings us closer to God has to make Him happy for sure! Thanks for commenting! Thank you for these points! I enjoyed reading this! I agree with a previous comment- this is a fantastic brief explanation!